Founded in 1991, Princess Sumaya University for Technology (PSUT) is the only private and non-profit university in Jordan. It is owned by the Royal Scientific Society (RSS), the foremost applied research center in Jordan. Like RSS, PSUT is part of El Hassan Science City located in Amman, Jordan. PSUT''s main mission is to educate students and qualify them to pursue careers in the fields of information and communications technology (ICT), electronics, computer engineering, communication engineering, and business. PSUT offers Bachelor of Science (B.Sc.) degrees in Computer Science, Software Engineering, Computer Graphics and Animation, Network, Computer Engineering, Electronics Engineering, Communications Engineering, Power & Energy Engineering, Networks & Information Security Engineering, MIS, Business Administration, E-marketing, Accounting. Also, Masters of Science (M.Sc) degrees are conferred in Computer Science and Environmental Management, Computer Security & Criminology, Electrical Engineering, Enterprise System Engineering, as well as Global Master of Business Administration (MBA) in collaboration with Lancaster University in the United Kingdom. Being part of El Hassan Science City, PSUT strives to create a culture of entrepreneurship among its students. PSUT is licensed and all its programs are accredited by the Jordanian Higher Education Accreditation Commission. PSUT strives to be the leader in building the ICT and electronics sectors in Jordan and a research platform for Jordanian industry. Simply put, our goal is to have PSUT be "the University of the Future" where highly qualified and talented students are educated and ready to join competitive markets in the 21st century and beyond. We at PSUT promote excellence, scholarship, commitment, innovation and entrepreneurship that drive the private sector. In less than twenty years, PSUT has become the leading university for the study of information and communication technology, electronics and computer engineering, and a center of educational excellence both in Jordan and the surrounding region. Graduates are in high demand and often receive job offers before they complete their degrees. Moreover, PSUT research activities are focused in the key areas of interest to EL Hassan Science City to help with Jordan's economic drive. PSUT encourages creativity and innovation in all areas of life. Versatility, curiosity, an appetite for continual personal growth and enrichment, and the ability to look outside one’s own discipline are the keys to success in the wider world, and, beyond that, to leadership and the possibility of making a unique contribution to the community. Rigorous academic work at PSUT is complemented outside the classroom by an offering of extra-curricular activities. An instructor at the department of Computer Science, Princess Sumaya University for Technology in Amman, Jordan. 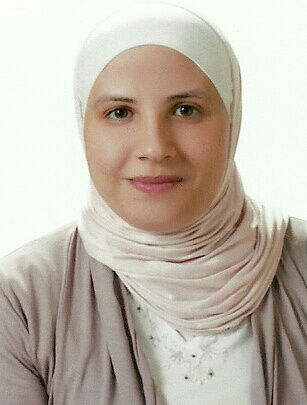 She received her Bachelor and Master degrees in Computer Science from Jordan University of Science and Technology in 2004 and 2007, respectively. Her research interests include: Algorithms, Parallel Computing, and Artificial Intelligence.